A harmony of fabrics and wallcoverings inspired by Japanese artwork. Contemporary and traditional techniques are intertwined to create sophisticated interiors for your home. Sumptuous cut velvets, elegant sheers, innovate weaves and textural wallcoverings are united by an entirely modern, atmospheric palette with glistening metallic highlights. Abstract stories and landscapes from Japanese artist Katsutoshi Yuasa’s collection are reimagined in a rich anthology of luxury fabrics. 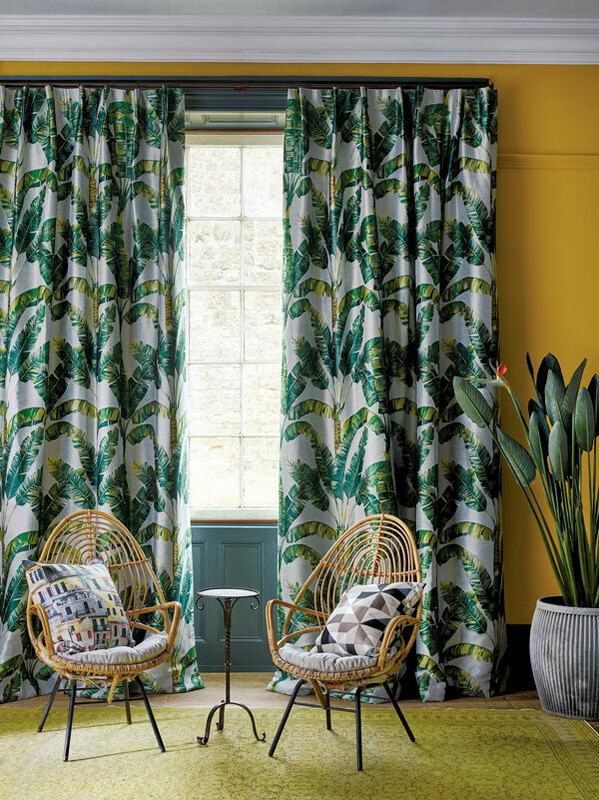 This collection highlights colourful, contemporary designs embodied with textural sensation adorn opulent velvets, sophisticated linens and indulgent jacquard weaves. 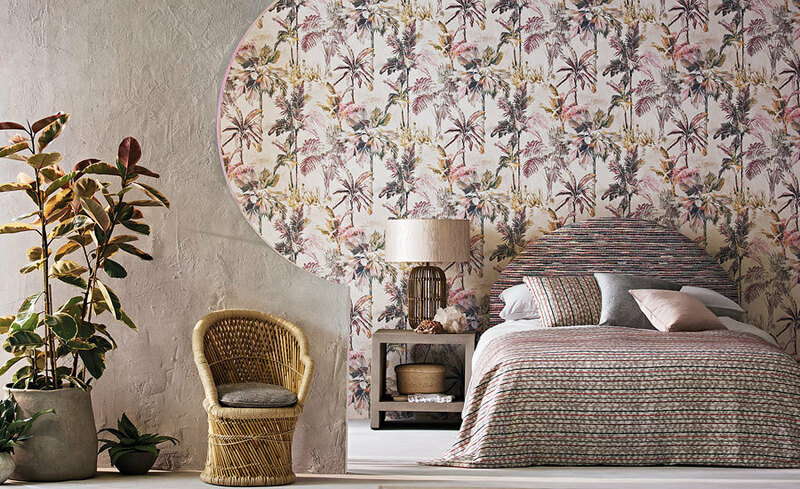 As beautiful up close as from a distance, Katsutoshi Yuasa’s artwork is reimagined in this unique wallcovering collection that embraces oriental design and ancient craft in a contemporary and elegant way. 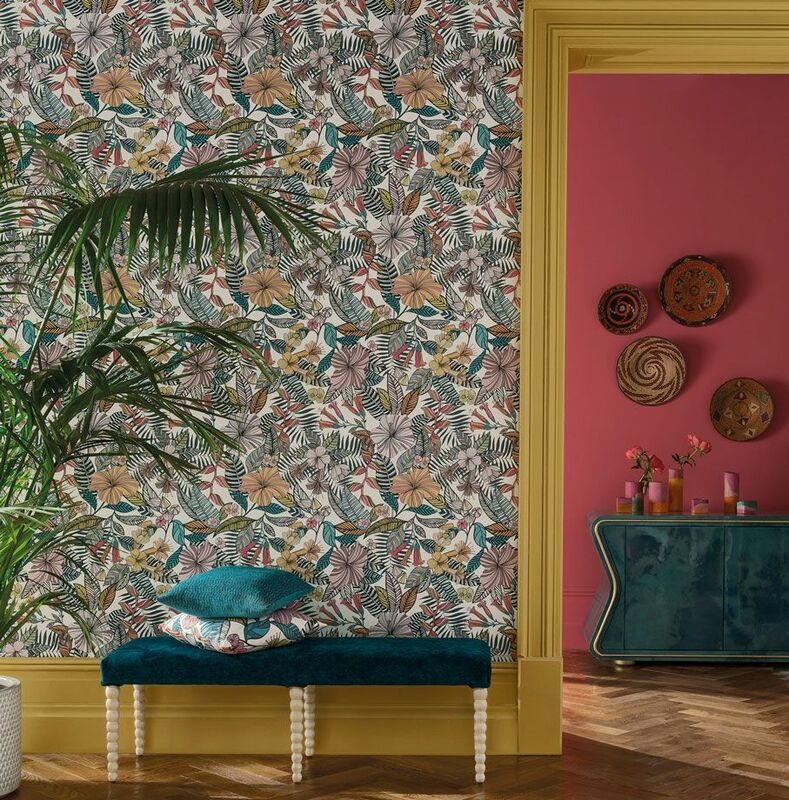 With a sensuous colour palette and a captivating mix of embossed textures, sumptuous flocks and lustrous backgrounds, metallic effects glimmer alongside deep shades of inky blue and teal and earthy neutrals, creating a dramatic setting. An artful balance of colour and texture is displayed in this serene collection of elegant sheers and lightweight fabrics. Structured effects created by innovative weaving techniques form intricate shadows and unique qualities. The Hinoki collection is enchantingly beautiful. Do you want to browse our new collections?